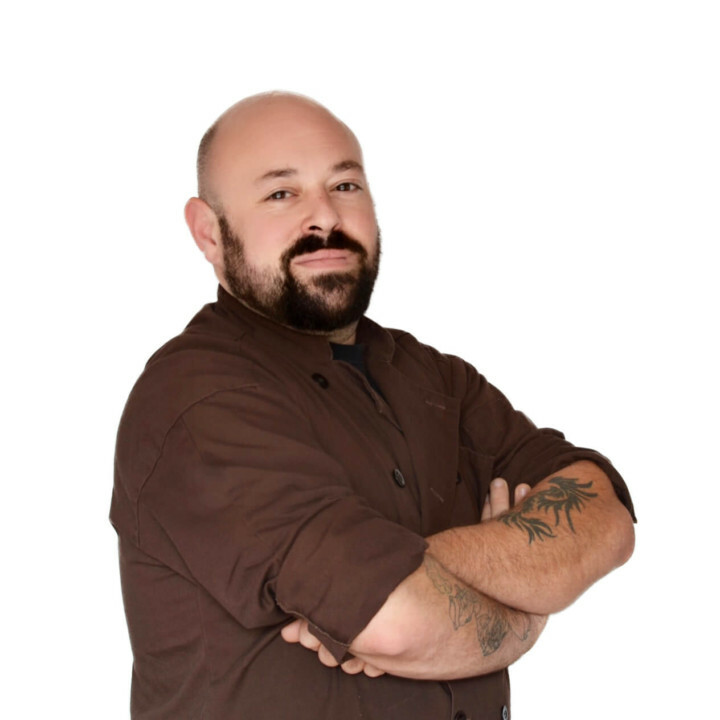 Culinary background: Chef Mat was trained at the Culinary Institute of America and has 15 years of fine dining experience in prominent restaurants in both San Francisco and the East Bay. Favorite thing about teaching at Kitchen on Fire: Sharing cooking secrets and eating experiences with food enthusiasts. Talking about cuisines and culinary adventures with a wide range of students. Growing up in a family full of chefs and kosher caterers in New Jersey, Chef Mat has felt at home in a kitchen since childhood. He first fell in love with the unique culinary scene of the Bay Area while working an externship at One Market Restaurant in 2000. After graduating from the Culinary Institute of America, he spent a year and a half in Boston’s busiest restaurant, Grill 23, before the pull of Northern California’s food culture drew him back. He has worked for the past decade at some of the most successful restaurants in San Francisco and Berkeley, including Lark Creek Inn, Farallon, Lalimes, and Gather. Trips to Italy and Israel furthered his exposure and passion for the various cuisines of the world.